Spring is here, and I couldn’t be happier! It’s one of the best things about being in New York City. After a long, hard winter, people come alive again, the streets brighten with the most beautiful flowering trees, and the sunny days rejuvenate us with their touch of warmth. I just love it – this season really puts me in the mood to celebrate. So this week we’re doing just that with Ceci Bride Erika and her Hamptons wedding, planned by the incredibly talented Lyndsey Hamilton Events. I mean, can we talk about her bridesmaid dresses? I love how Erika changed it up and embraced being unique, and how Carrie Sartor, events director at Lyndsey Hamilton Events, added even more memorable moments throughout the night. The pops of wine-colored flowers, the welcoming tufted bar, and the chandeliers placed in the trees are totally drool-worthy (and let’s not forget Erika's eight-ply letterpress and foil-stamped invitations with a fabulous gilded edge). My entire team and I are truly obsessed! 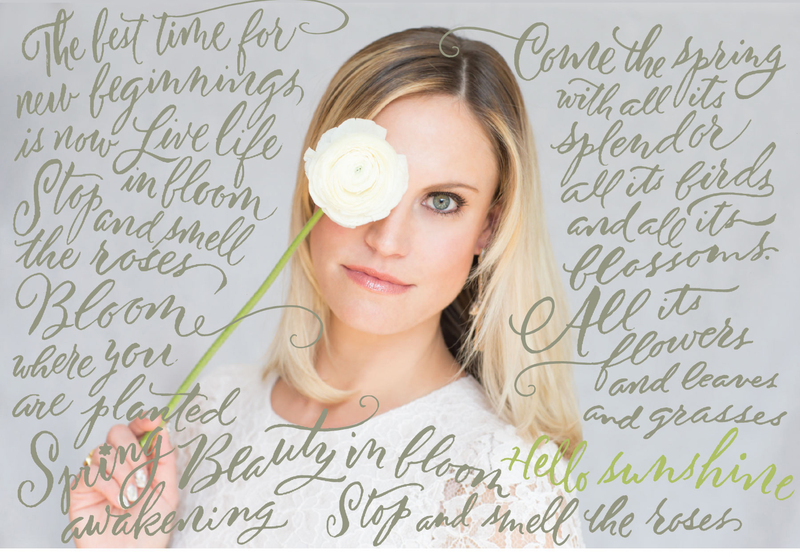 For something a little extra special this week, and to help get us in the mood, we’re welcoming spring with a cool collaboration – the two portraits you see below – featuring the hand lettering of Debi Sementelli. In my world, she is a major celeb (Debi has designed a handful of popular fonts that my team and I use daily in our work), and she shared her special talent with us to help mark the new season. 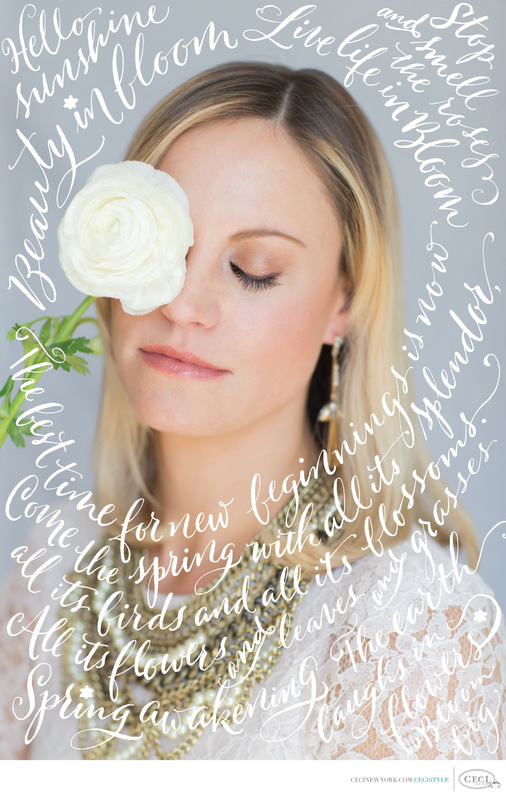 Using images captured by Thisbe Grace, we wanted to kick off the revelry with a sweet statement. We had so much fun on this project that when it came down to picking one image, I just couldn’t. I’d love to know what you think, so head on over to Instagram and let us know your favorite! I hope these pieces inspire everyone to celebrate to the fullest. Here’s to warmer days ahead. Live life in full bloom. Happy spring! P.S. Special thanks to Christian Oth Studio for the beautiful muse photos. Photography by Thisbe Grace Photography. View the Creative Team in Behind the Scenes.